Dhaka, 4 Feb, Abnews: The Executive Committee of the National Economic Council (ECNEC) 11 development projects involving Taka 7,423.72 crore including one to set up RAB headquarters in the capital with Taka 495.10 crore. 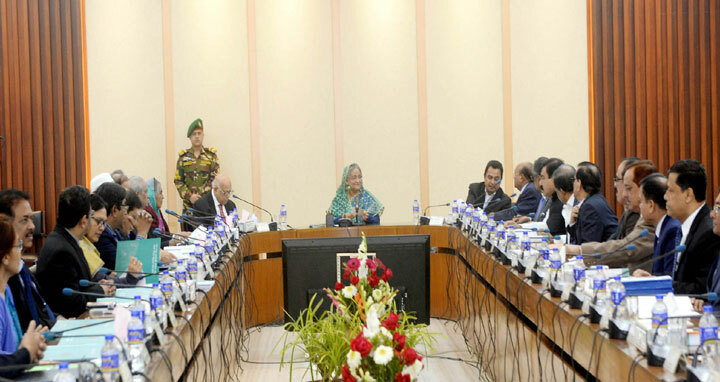 The approval came from the 17th ECNEC meeting of the current fiscal year held at the NEC Conference Room in the capital's Sher-e-Bangla Nagar area with ECNEC Chairperson and Prime Minister Sheikh Hasina in the chair. Briefing reporters after the meeting, Planning Minister AHM Mustafa Kamal said a total of 11 projects were approved today involving Taka 7,423.72 crore. "The entire cost of the 11 projects will come from the state exchequer," added the Minister. Of the projects, three are afresh while the rest projects are revised.